Abbas's Fatah slams Hamas over reported discussions between Tony Blair and Mashaal, says Hamas council agreed to deal with Israel. Palestinian Authority (PA) Chairman Mahmoud Abbas's Fatah faction is up in arms over reports of long-term ceasefire discussions held in Qatar's capital of Doha, negotiated by former UK Prime Minister Tony Blair with Hamas politburo chief Khaled Mashaal. Reports indicate Blair passed a document to Mashaal regarding a long-term ceasefire with Israel in return for a removal of the IDF's blockade of Gaza. Israel maintains a naval blockade and monitors the entry of goods through land crossings. Large issues concerning a "peace deal," such as the status of Jerusalem, would be postponed and not addressed in the ceasefire deal Blair presented. Fatah released a statement about the reports on Sunday, calling the talks an attempt to bypass the "legitimate" rule of the Palestine Liberation Organization (PLO) and its chairman Abbas. It further said such a deal could bring about a situation in which various armed groups claim to represent the "Palestinian nation." 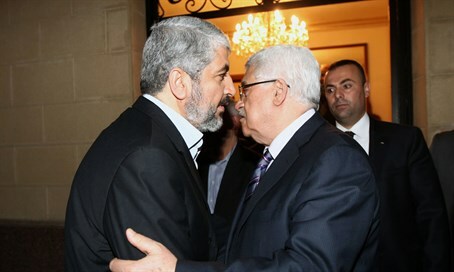 According to Fatah, Hamas's Shura council approved of the agreement between Blair and Mashaal, and a delegation of the council is set to meet with the movement's leadership abroad to reach an obligating decision on the matter. The talks between Israel and Hamas are meant to leave the terrorist organization intact and in control of Gaza, claimed Fatah. The faction said the move harms the PA's political achievements in the international sphere, such as the UN's recognition of "Palestine," and the PA's joining the International Criminal Court (ICC) - which was a unilateral move in breach of the 1993 Oslo Accords that formed the PA.